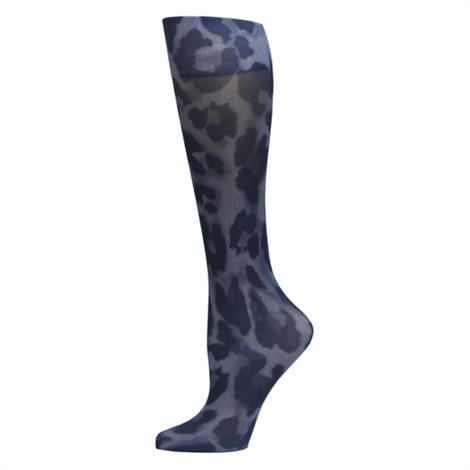 Complete Medical Cougar Denim Knee High Compression Socks support the active lifestyle in comfort. This fashionable knee high, closed toe therapeutic compression socks allow to make an ultimate style-statement with great comfort. It protects legs from scratches, abrasions and keeps legs warm and dirt-free. Therapeutic compression socks may reduce swelling and improve circulation.